Posted on September 9, 2014 by Greg C.
I recently gave a talk at Syracuse University’s Greenberg House in DC about the future of social media. Â Part of the discussion touched on how devices like the iPhone and iPad changed forever the way we engage with each other. The iPhone was a tipping point in the smart phone market. Â While Blackberry was first, it was Apple that changed how we use our phones for browsing, music, video, and of course interaction with each other. Â It has opened up amazing business opportunities thanks to the application marketplace and in extreme situations a $19B acquisition. Today, Apple is going to try to change the world again with the iWatch. Â Whether this device has transdermal health technology or is just a fancier version of a Nike Fuel Band, doesn’t matter, it will definitely be a hit. 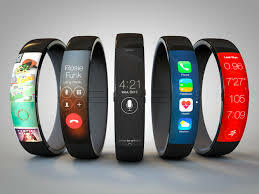 Â Why will the iWatch succeed while the Samsung Galaxy Gear and LG’s G Watch struggle? 1) Apple has perfected the introduction of products. Â While the leaks have grown since the early days of the iPhone, I have to believe some of them are purposeful to generate excitement. 2) Apple makes it easy for all buyers. Â Early adopters pre-order on the website, but it is the store that gets people the mainstream buyers. Â Mainstream buyers need to feel the product and test it. Â Early adopters, aka, Fanboys, are going to buy no matter what Apple releases. 3) Apple has a knack for holding back features from their products creating a fervor for the next version of their products. Â Near Field Communications is something that was rumored to exist in the iPhone since 2010, but only today do we get it. The iWatch is going to be a game changer and thanks to this build up of news and leaks combined with the store and “new” features that have been perfected over time, the iWatch and iPhone 6 are going to be a huge hit. Posted on July 10, 2008 by Greg C.
As I mentioned earlier today, we launched AIM for the iPhone in the Apple AppStore.Â This evening TechCrunch posted the top 10 download apps list and AIM comes in at number 2 with over 12K downloads.Â The number 1 app is Remote, which was written by Apple to control your iTunes and Apple TV.Â I firmly believe real-time messaging applications will be huge on this phone because of the fees that AT&T intends to charge for SMS.Â As people migrate to these messaging apps, I think people will see the short comings of SMS.Â Here is the top downloads list. The lines are forming fast and furious at Apple and AT&T stores all across the world and anticipation has reached a furor pitch for the 3G iPhone tomorrow.Â But, not wanting to trump tomorrow’s excitement, Apple released iTunes 7.7 that has AppStore support (AIM MusicLink works with iTunes 7.7) and with the iPhone SDK 2.0 posted this morning, apps can now be downloaded and installed! We have posted the AIM client that we first debuted on stage at the iPhone SDK launch back in March.Â The client has been improved with some really cool features new to the AIM client, including gestures to start new messages and switch between conversations, as well as the ability to use the iPhone camera to take a picture and make the picture your buddy icon.Â A bunch of people asked how we wrote the client, and the answer is that we used our Open AIM Web APIs to write this client.Â The client is free and available on the AppStore now. Will SMS go the way of the Dodo Bird? Posted on July 3, 2008 by Greg C.
A post on Silicon Alley two days ago regarding AT&T’s different iPhone plans caught my attention.Â Dan Frommer, writes that AT&T is “screwing its customers by not offering a text message plan in between their 200/$5 and 1500/$15.”Â But this is not a problem since there will be “a handful of instant messaging apps” released on the 11th. The iPhone which, without doubt, has moved the ball down the field as far as smartphones are concerned, I believe is about to change the way all of us do real time synchronous communication via our mobile device.Â Since most if not all people will have unlimited data with the iPhone, it makes more sense to use a messaging client rather than pay per SMS.Â Messaging clients bring with it, presence, rich-text messages, user customization, such as status, avatars, etc, a familiar experience, and most importantly the ability to do advanced features like photo sharing and file transfer, both of which cannot be done via MMS since it is not supported on the iPhone right now. SMS is not going away over night, but the iPhone will make it more attractive to NOT use SMS because the IM clients for the phone will be very good.Â I am looking forward to seeing what RIM and Android can churn out to keep up.Â As I wrote yesterday, here at AOL, we have a very nice AIM client for the Windows Mobile Platform. Posted on March 6, 2008 by Greg C.
Switch between active chats by swiping left and right (applause), status update panel (“Playing Spore!”, giggles), choosing photos from your iPhone photo library as your AIM buddy pic. Here are a few pics, thanks to my fellow AOL/TWX employees at Engadget.